TUNE IN EVERY MONDAY AFTERNOON! This week Oz Harvest's Ronni Kahn talked about her innovative new rescued food market on TEC's weekly green radio program on 89.7fm. TEC's director Jeff Angel also discussed Malcom Turnbull's big headache - the Adani mine! Green Energy and renewables as Jeff Pointed out on Monday Drive are overtaking retrograde influences in our government, as business embraces the future, not the past. Listen to the whole show. And check out our Green Energy campaign actions. Then we found out why Oz Harvest CEO Ronni Kahn decided to rescue so much food and open a new type of supermarket to distribute it. Australia’s first rescued-food supermarket has opened in Sydney, The Guardian reported last week, providing donated or surplus produce to customers on a pay-what-they-can basis, in an effort to reduce the estimated $8bn to $10bn of food discarded each year. 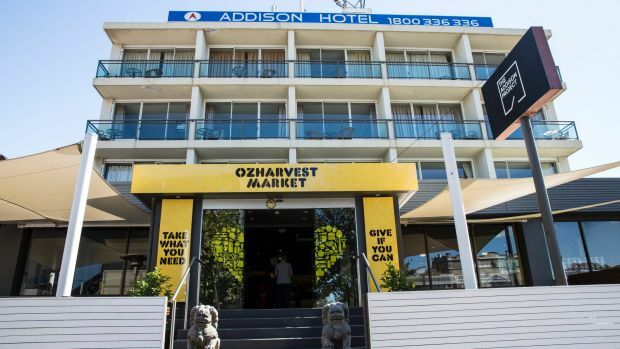 The OzHarvest Market provides food, from blemished apples to frozen sausage rolls, as well as other items such as sanitary products and toothpaste, which would otherwise be thrown out, sourced from the excess of major supermarket chains, caterers and cafes. "It's simple; our purpose is to nourish our country in a sustainable way and raise awareness of food waste," founder and chief executive Ronni Kahn told SMH. "If we can help the vulnerable with dignity then it's a win-win."